a lot simpler and faster . We are aware that your time is precious. For that reason you can now process your reimbursement requests by submitting our online form 24 hours a day, 7 days a week, 365 days a year without any delays or waiting. To qualify for a reimbursement benefit it is mandatory that the traveler has reported the mishap to our operational call center in a timely manner. Proof of family relationship (if the assisted person is a minor). Original or copy of prescription. Sales receipt for the prescribed medicine. Medical report, physician’s order or clinical record, as applicable to the incident suffered by the traveler. Receipt for the medical care expenses paid. P.I.R. or loss report issued by the airline company. Proof of kilos checked in (if missing). Reliable proof of payment by the airline company. Sales receipts for expenses incurred to purchase basic items (in case of luggage delay). Proof of flight delay or cancellation issued by the airline company. Sales receipts for expenses incurred as a result of the delayed flight. Original and legally valid invoices and receipts for payments made to the travel agency where the services were purchased. Proof of the penalty withheld by the travel agency / airline or cruise line. Medical report or clinical record pertaining to the medical care that motivated the cancellation. 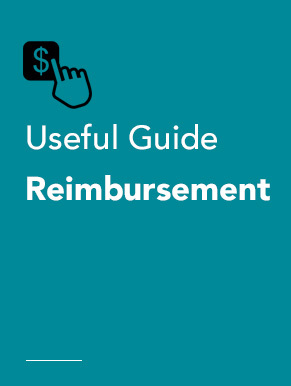 The reimbursement process will be initiated once the Traveler concludes filling out all the data required online and attaches the related documentation (Only PDF or JPG extensions of up to 2Mb per attachment).Click on the “Confirm Form” button and you will receive an email with your Reimbursement Request Reference Number.